Crafted in a way that makes the smartphone look more or less like a premium smartphone which is why the ZTE Nubia Z18 Mini is going to turn heads especially the light blue and purple coloured models. Also, the smartphone has slim bezels a way of accomodating bigger screen size without being being out of proportion. The navigation buttons have been relocated on screen due to the slim bottom bezels. At the rear, there are vertically arranged cameras with flash as well as the fingerprint sensor positioned at the middle. When the ZTE Nubia Z18 Mini lights up, you’ll be greeted by a nice display with impressive Full HD+ to go with. This is sort of the pinnacle for mid-range smartphones in terms of resolution apart from being an LCD screen by the way. With a size of 5.7-inch and a resolution of 2160 X 1080 pixels, the display produces rich colours as well as good viewing angle. Taking power from a 3, 450mAh non removable Li-Po battery, the ZTE Nubia Z18 Mini has an expected duration of a day on full charge and on slightly engaging usage at that. Charging is also relatively easier with quick charge technology that translates to lesser time to reach full charge. Photography is handled by a dual rear camera and a single one up front. Sounds familiar? Yes, this is because, this is sort of way-to-go for most Chinese and even Non-Chinese OEMs. Having the combination of a 24MP and 5MP camera on the rear, the smartohone is capable of capturing 4k videos and impressive images. Also in the selfie department, an 8MP camera with f/2.0 aperture is stationed for wide angle selfies and nice portrait pictures. 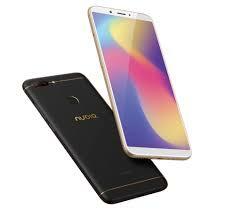 Now to one the integral parts of the smartphone or should I say the engine where the ZTE Nubia Z18 Mini happens to go for top notch mid-range components. Starting from an Octa-core Qualcomm SDM660 Snapdragon 660 chipset cores clocking at 2.2GHz and 1.8GHz respectively. To an Adreno 512 GPU in place for rendering graphics. Going further, you also have 6GB RAM going with a 64GB built-in storage space and an higher 128GB internal storage in place on a more premium model for ample space. If this is not enough, you could expand the storage up to 256GB with a memory card. Besides running Android 8.1 Oreo, you also have an integrated AI called NeoSmart with Nubia UI also in present. 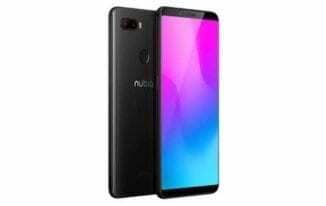 The ZTE Nubia Z18 Mini is available for sale for about 102, 000 naira for the 64GB variant while the larger 128GB model costs close to 120, 000 naira.